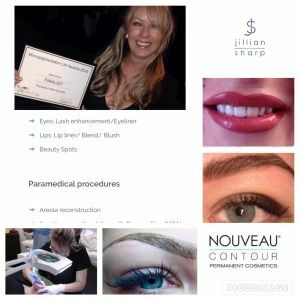 Jillian is a leader within the semi permanent cosmetics artistry and prosthetics industry. Her work has been highly regarded throughout the UK and abroad as “The Complete make-up artist”, appearing on television, magazines and known on the international fashion scene. Jillian is a certificated insured and highly skilled professional. She will consult, offer advice and walk you through the many procedures on offer every step of the way. 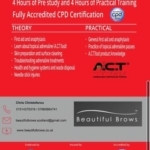 Always training and introducing the latest procedures and recently introduced her ‘Brow Rehab Clinic’ . 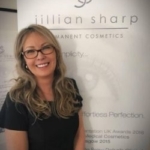 Jillian has a long history of clients and information for you to check out, something she absolutely recommends you do before embarking on any cosmetic treatment or service. Jillian travels to various salons throughout Scotland and North England. 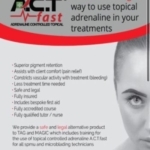 Paramedical Procedures: Areola reconstruction, Tattoo removals, Scar tissue re-stimulation with Dry needling (MCA), Scar camouflage, Cleft Lip re-contouring.